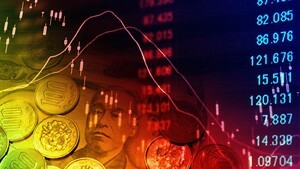 FT Transact is an FT video series on the future of money. It explores in detail the technologies, people, companies and sectors behind transactional transformation, including the corporate innovators working to build the future of finance. 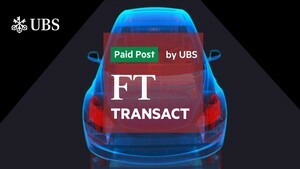 With insightful but accessible reporting and analysis from FT journalists who are specialists in their fields, FT Transact brings additional expert commentary from UBS in the form of paid posts on the future of capital. 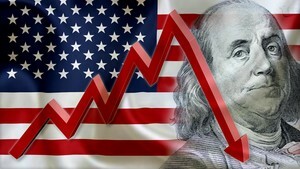 How much longer can King Dollar reign? The US dollar is a symbol of American strength. But America’s share of global economic power is waning, and many countries resent the dollar’s dominance as a reserve currency. At the same time, President Trump may be eroding the trust the Federal Reserve has built up, and China is nothing but ambitious. 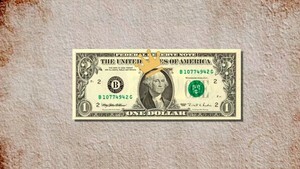 So how long might King Dollar’s reign last? Tesla's ramping up production of the Model 3. But is the electric vehicle evolutionary, or revolutionary? And what do its parts, and the way it's made, tell us about the future of a multi-billion dollar industry? To find out, UBS Evidence Lab, tore it to pieces. Robots are on the march, sparking much debate about what to do with the workers they’ll replace. One idea is to tax robots and use the revenue generated to compensate workers whose jobs have gone. But how should a robot tax be calculated, and how should the revenues be distributed? A full-blown trade war between the US and China could mean global GDP decelerates by more than 100 basis points, and major global equity indices tumble by more than 20 percent. 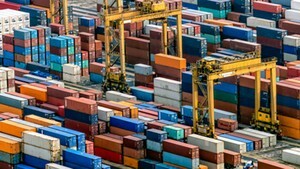 UBS have modelled three scenarios assess what ongoing trade disputes might do to the global economy. The Financial Conduct Authority has won praise around the world with a so-called sandbox, where UK fintech companies can test products with temporary authorisation. 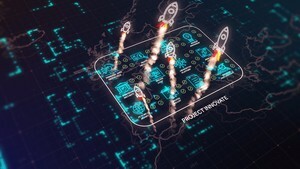 Now, it's being widely copied and there are plans to start a global sandbox. 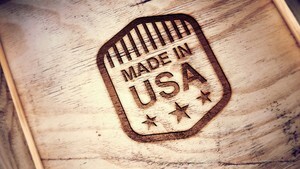 It has even caught the eye of major players, with Microsoft urging the US regulator to be more like its UK counterpart. counterpart. But should we be worried that the twin forces of big tech and banking are now praising the body that is their watchdog? Who now can lead the world? 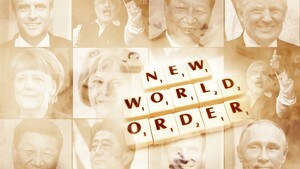 A world order of peaceful co-operation feels like a distant dream. Democracy and global capitalism are increasingly under threat and nativist sentiment is spreading. In such a world, who might provide the leadership needed to tackle the global challenges of climate change, global peace and sustainable prosperity? UBS estimates global online food ordering could leap from $35bn dollars today to $365bn by 2030. It’s thanks to a convergence of the on-demand and sharing economies, and a combination of industrial, economic and demographic factors. 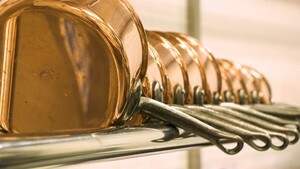 Analyst Chris Grundberg explains the UBS Evidence Lab research, and considers whether the kitchen is dead. Last year, including share purchases, more than $62bn was deployed by activist investors on their campaigns, double the amount spent in 2016. At the same time, activism is changing. 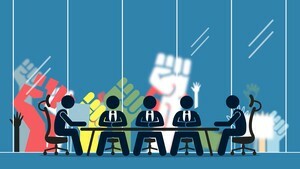 In the US, the number of proxy fights - battles where hedge fund managers seek to install a hand-picked director onto a company board – have fallen to a five year low. So why are campaigns becoming less confrontational? 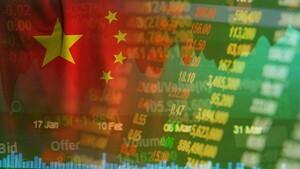 Will regulatory reform become a China investor's biggest opportunity? Regulatory reforms are set to revolutionise China’s Financial Services industry, opening up numerous opportunities for international investors. In its best-case scenario, UBS forecasts China’s mutual fund assets to reach $7.5 trillion by 2025, and a total revenue pool of $100 billion. UBS’s Kelvin Chu explains why China represents the single largest growth opportunity for global investment managers. Can Big Tech’s threat to democracy be tamed? Fake news is now a political weapon. 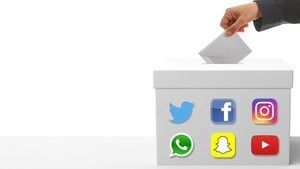 Tech platforms have been used to manipulate elections and political outcomes, not just in the US but in Europe and developing countries too. Can new proposed regulation rein in of some of the largest IP-rich firms, which now control roughly 80 per cent of corporate wealth? What could a long-term weaker dollar mean for the world? The fall of the US dollar has been a big market story in 2018, and despite a strong recovery in the second quarter of the year market commentators say this could be a long-term trend. A weak dollar helped American companies sell goods abroad, boosting demand for commodities, and it helped to tame inflation in emerging markets. But given the dollar’s recent fightback, how confident can investors be about these outcomes? On paper, India is a demographic diamond in the rough. In the next decade, the ratio of its population at working age is set to surpass China’s. And in the next five years, the amount of Indians entering the labour market will be one-and-a-half times that of the rest of the Asia-Pacific region, the US and EU combined. But can India create enough quality jobs to meet the market's growth hopes? Gautam Chhaochharia, Head of India Research at UBS, investigates. Why is Switzerland so keen on cryptocurrencies? Switzerland has long been a global economic hub. Now it’s embracing the potential of cryptocurrencies and digital tokens. 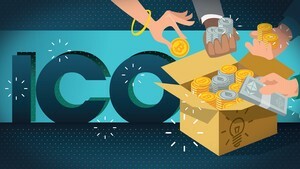 Last year, four of the biggest initial coin offerings - when start-ups sell tokens to investors – were based in Switzerland. But why is it such a popular place for crypto-pioneers, and what risks do the volatile currencies pose? 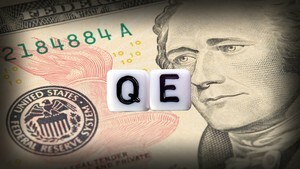 Will asset prices fall as QE unwinds? Following the financial crisis, central banks bought trillions of dollars worth of financial assets – mostly bonds - to pump up their economies. 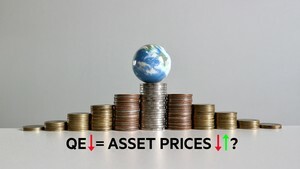 But if that quantitative easing got asset prices up, will the end of QE mean that asset prices will fall? 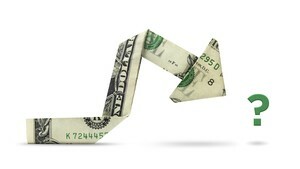 It largely depends on a complex combination of growth, earnings, interest rates and inflation. 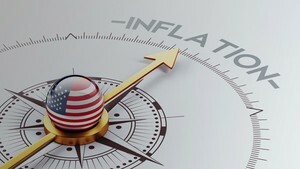 The US Federal Reserve is raising interest rates and wants inflation to get to its target, but not much above. The outlook’s changing fast though, and the risks of rising inflation increasing as 2020 approaches. UBS Chief Economist Seth Carpenter and his colleague, 15-year Fed veteran Alan Detmeister, deep dive on inflation, interest rates and unemployment, giving their predictions for the US economy in the short and mid-term. There’s a macro-micro divide in emerging markets. The IMF and BIS are warning against rising corporate debt, yet P/E ratios are soaring. 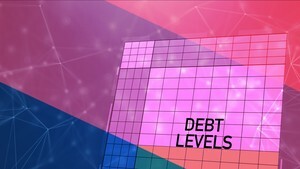 Where does the debt lie, how long can this dichotomy last, and will the ultimate impact be on equities and government balance sheets? These and other key questions are answered by Bhanu Bhaweja, Head of EM Cross Asset Strategy at UBS Investment Bank. The rise of cryptocurrencies, contactless cards and mobile payments has led to predictions that we are at the dawn of a cashless society. Cash use may be declining in many developed economies, yet much of the world is tied to physical transactions, and ATMs are still an essential utility. But ATM manufacturers are preparing for a world where cash will be less important. Some of the world’s most important central bankers are leaving their posts, and their successors will have to deal with fast-growing technological innovations such as cryptocurrencies. 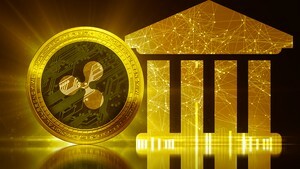 These are penetrating the financial system but operate beyond its regulation, and there are concerns a crash in these volatile currencies could leave banks in trouble. 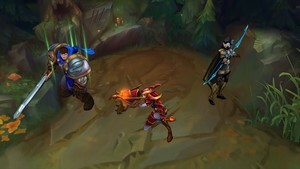 Global eSports revenues are predicted to hit $1.5bn by 2020. Fans are young, passionate, and given they’re 38% female, a marketer’s dream. In 2017, the finals of 'League of Legends’, owned by China’s Tencent, had a total of 1.2 billion views. Research from UBS Evidence Lab shows Chinese gamers play for longer, more often, with more people, and an increasing focus on commercialisation is likely to drive further growth in this booming sector. With consumption rising, the only way humanity can maintain or improve its standard of living is to do more with less. That requires innovation and productivity. Diversity is absolutely essential for this. Monocultures rarely generate innovative thinking, while prejudice inhibits the potential of human capital. For real economic growth, diversity is critical. 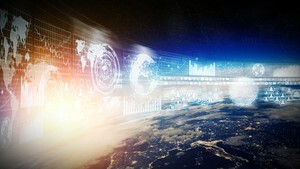 Nasdaq’s technology pairs buyers and sellers of financial assets at lightning speed. 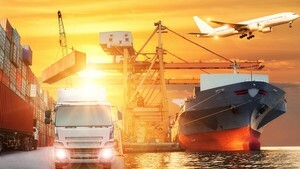 Now it is exploring ways to enable trade beyond its traditional markets - from ticket sales to container space. 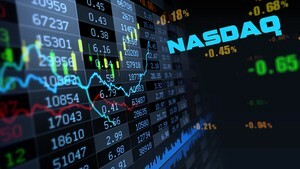 The challenge for Nasdaq is to proving its technology can work outside the market it is best known for. 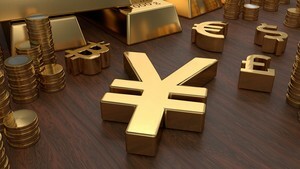 Just over a year ago the renminbi passed a significant milestone when the IMF included it in its Special Drawing Rights currency basket, along with the dollar, pound, euro and yen. But Jamil Anderlini, the FT’s Asia editor, explains there are big obstacles in its path to becoming a true reserve currency. 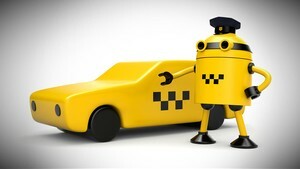 Robo-taxis are coming. Singapore will be testing vehicles as early as next year, and ultimately they could prove significantly cheaper and more popular than current mass-transit systems. Serious disruption is looming for the transport industry, and car sales may be negatively impacted, but if carmakers and other industry players approach the transition wisely, new opportunities will arise. By 2021 women will be in charge of $18tn worth of the world’s wealth. Their control is rising more quickly than men, but what is behind this growth? 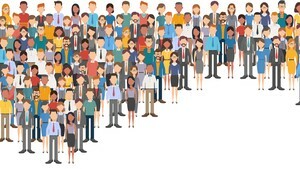 The FT’s investment banking correspondent Laura Noonan examines how demographics and culture have fuelled the increase and the effect it will have on the banking sector. 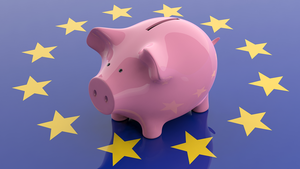 Unwinding QE in the eurozone: who stands to lose? The ECB’s quantitative easing programme is still expanding and has now reached more than €2tn. Next year it is expected to wind down, but as the FT’s Claire Jones explains, economies like Italy’s are still weak and there are fears gains made through QE could go into reverse. The geopolitics of trade: who is winning? These are uncertain times for global trade, and not just because of Donald Trump’s protectionist rhetoric. Shawn Donnan, the FT’s world trade editor, argues that current rules are too complex and the global system is turning into a massive “noodle bowl” of deals. The rise of China threatens only more complications. 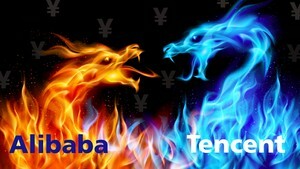 Tech giants Alibaba and Tencent are now ranked inside the world’s top ten companies by market cap and are looking for new fields to expand their profits and power. As Louise Lucas, the FT’s Asia technology correspondent, explains, their battle for dominance is drawing them into finance and fintech. In the US and Asia, capex has been driving improvements in corporate performance. Now, after 6 sluggish years, a positive trend has emerged in Europe as well. 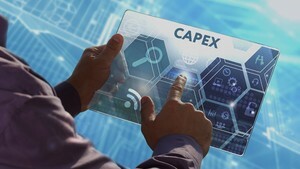 Capex correlates highly to innovation and profitability, but what’s behind its return and how will it impact economies worldwide? Asia's R&D spend is on track to exceed Europe and the US combined by 2020. But which countries are innovating, what are the implications and are investors pricing in the potential? These and other key questions are answered by Niall MacLeod, Head of Asian Equity Research Strategy at UBS Securities Asia. 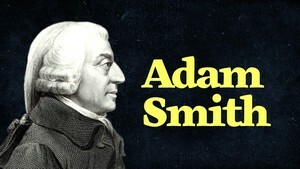 Many of the core ideas behind Adam Smith’s vision of capitalism are being ignored. Gillian Tett, the FT’s US managing editor, argues that four basic concepts need to be relearned if we are going to replace the opaque and exclusive system modern finance has created. By 2025, cross-border data flows could be worth $20tn, more than current global trade in goods. But as the FT’s world trade editor Shawn Donnan explains, that will likely bring increased cyber risks, and governments are taking measures to combat the challenges. 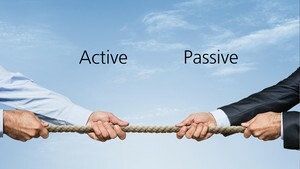 There’s been a boom in passive investment since the turn of the millennium, channeling the flow of capital away from mutual funds into hedge funds and sector specialists. But how far can beta go, and will alpha undergo a renaissance? UBS Investment Bank’s Paul Winter, Head of Quantitative Research - Asia Pacific, and Shane Edwards, Global Head of Structured Solutions, look at the future of investment. 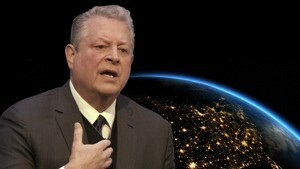 For the past three decades western multinationals have been outsourcing production to low-cost countries such as China. But are executives turning to localisation? The FT’s US managing editor Gillian Tett explains how automation, wage costs and political risk are driving businesses away from globalisation. 2017 promised to be a strong year for the US economy, driven by the Trump trade. But things have gone off the boil and the dollar has remained weak. 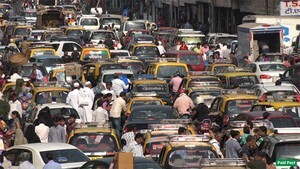 FT currencies correspondent Roger Blitz explains why that is good news for emerging markets. But there are risks on the horizon. 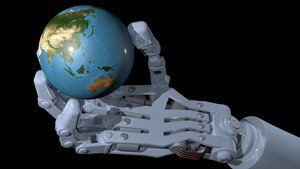 The rise of robot currency traders: what does this mean for humans? In an effort to stamp out unethical behaviour and cut costs, banks have cut staff and – in many cases – robots are taking their places. Robots are much maligned as a potential source of flash crashes, but Katie Martin, head of FastFT, asks whether inexperienced traders should be a greater cause for concern. Cybercrime: how safe is our money in a cashless world? 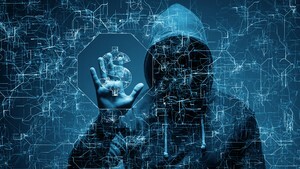 The drive towards a cashless society may eventually eliminate cash-based crimes, but there are myriad ways our digital life can be exploited by criminals and even governments. 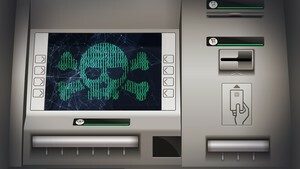 Fraud, transaction laundering, hacking - the digitisation of commerce and banking has left us vulnerable in new ways. Martin Wolf, the FT’s chief economics commentator, tells us why going cashless isn’t the answer to preventing crime.